Well hello, hello, happy Monday everyone! Here I am, writing an MV review again. 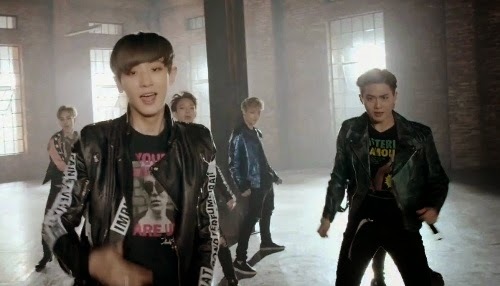 Today’s MV is Call me Baby by the dearest EXO. First of all, this review came from a perspective of a neutral viewer. I am not EXO hater. I repeat, I am not EXO hater. This post right here was the evidence that I simply adore these cute boys, who have grown into a real man now, by the way. So, let’s start by watching the MV first, shall we? Umm, where is EXO? What is happening to the cute and mysterious guys from History & MAMA, to the slightly delinquent and charming school boy from Wolf & Growl, to the chic and easy going man from Overdose? Is this really EXO? I don’t think so. To be honest, I’m a bit disappointed with this MV. 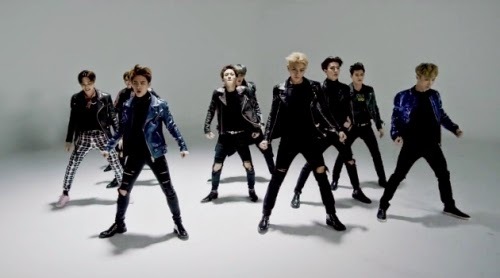 I mean, come on SM, we already knew that you have amazing camera work with Growl and Overdose, but this one too? Come on! These guys deserved better! Maybe SM aims to implement the “Third’s time a Charm” idiom, but this definitely not a charm to me. At least take them overseas and shoot the MV there or simply take them out of the studio and let them ride their car in the real road, hence let these guys free from the studio-concept MV! You did it with MAMA, can’t you repeat it again? Boy, I’m so frustrated with this similar concept all over again. I wish SM will realize that EXO is major contributor to the agency’s revenue now and upgrade their level to the real concepted-MV with good story and outdoor set! What makes me more upset is that the fact that the music fell short for me. This is the first time I dislike EXO title track. Compared to Overdose and Wolf, Call Me Baby is simply losing. I wish SM won’t be too hasty to bring out these boys and ended up with giving EXO anything they have, such as this not-so-good music. EXO considered as K-Pop elite now, so give them something people will instantly fall and remember. And I don’t know if it just me or not, but the way they danced were not in sync. I realized this when I saw the first reff. If you watch carefully, you will know that some of them are too fast than the other. This, again, make me mad. Except for its superpower concept and charming faces, EXO was known for their synchronized dance, as you can see in Growl and Overdose. But the fact that they are not in sync in this MV is (once again) disappointed.